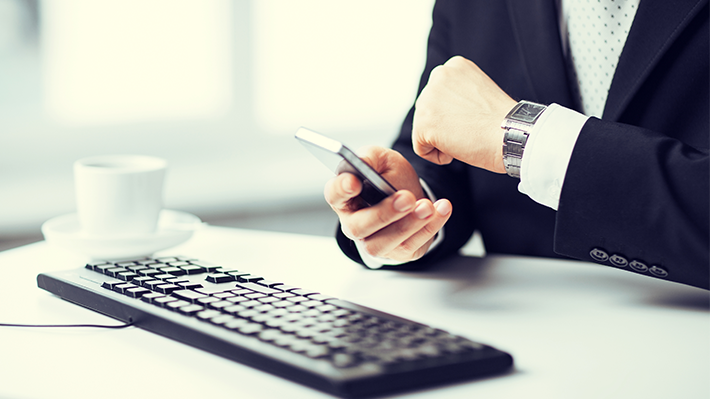 Financial Advisors - When is the Best Time to Reach Out on LinkedIn? As a financial advisor, you know that timing your outreach correctly is half the battle. Learn how you can nail your timing and grab your clients’ attention. If you’ve ever taken public transportation, then you’ll understand that rewarding feeling from reaching the platform the moment the metro arrives. For financial advisors, effective timing is a prerequisite for any successful deal with a client. So, how can you replicate that effortless and perfect timing into your prospecting? Well, whether you’re catching the metro or selling online, you can do your research ahead of time. With the right data at your fingertips, your customers will always think that you have the perfect timing. Job changes almost always lead to financial changes. An internal promotion often comes with a raise or a bonus, so your prospect may be re-evaluating her portfolio or considering a big purchase. On the other hand, moving externally could mean she’s looking at options to rollover her 401k. In either case, a job change is the perfect window of opportunity to offer your expertise when your potential client needs you most. On LinkedIn, you can easily stay up-to-date on this information through your “Notifications” if your prospect is already a connection, or use the “Follow” feature for non-connections. Relocation is another telling sign of financial changes ahead. Depending on the move, cost of living for your prospect could look dramatically different, which may change the allocation of money toward savings, investments, and personal insurance. He could be in the market for a new home or a new car as part of the lifestyle adjustment. Think critically through all the possible financial pain points associated with a life move and you’ll quickly realize this is prime time for your prospects to be open to a conversation. Tactically, you can keep track of relocation data by viewing your prospect’s profile. Below each professional experience is the geographic location of the role; compare any new roles with old roles for location changes. The extra due diligence could give you a competitive edge in your prospecting. And if you’re using Sales Navigator, you can get real-time sales updates on your clients so you’re always in the know with timely and accurate information. Finally, knowing the information of your individual prospects is not enough. You must also keep up with the companies your prospects work for, which will give you the added bonus of prospecting at scale. Look for quarterly earnings headlines along with big product launches or market expansions. Significant business updates may impact the financial health - or level of optimism - of your prospects. To stay up-to-date with a company, you can simply “Follow” their company page. You’ll then receive company shares and updates in your newsfeed, so you can save time in finding the information you need. In conclusion, we are past the age of untimely and irrelevant messages - your buyers don’t want to read them and you don’t want to send them. Equip yourself with these insights so you’ll always know what to say and when to say it. You can also see how other financial professionals are putting these tactics into practice. Our eBook features AXA Advisors - a leading financial services firm - and will explore their top tips for social selling. Download to learn more!